Late last year, Holly Willoughby's much-awaited Marks & Spencer collections finally landed in stores and online - to the delight of fashion fans around the UK. Holly’s ‘Autumn must-haves’ included a host of stunning coats, boots, bags, jumpers and classic shirts. 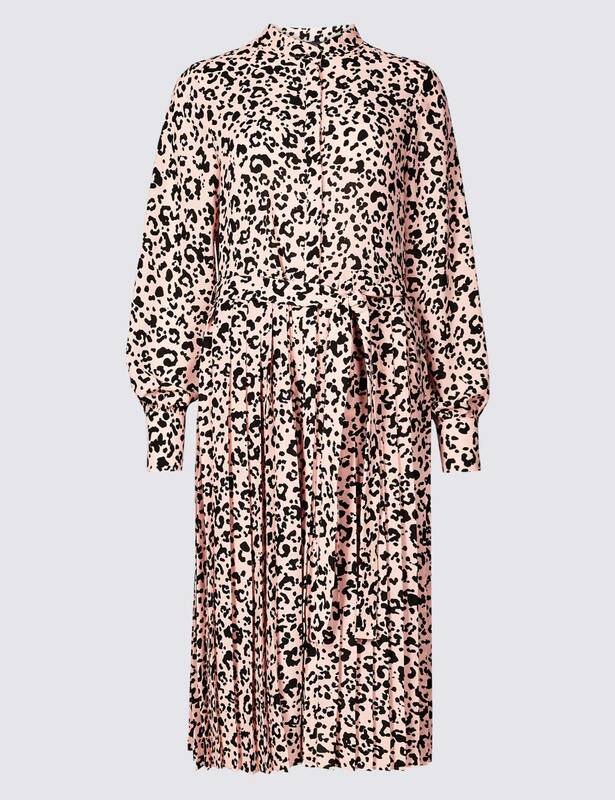 But one item really caught fans attention – her gorgeous pink, animal print midi dress. The item proved so popular that it quickly sold out online, with M&S re-stocking it later on for eager fans. And now, the stand-out piece is in the sale, for a much-reduced price! Originally selling for £49.50, the flattering autumn dress is now available for just £30 in the sale – a bargain considering that it will work in your wardrobe the whole year round. The dress is so popular that it’s even being resold on eBay for a whopping £60 – so this sale will be music to many customer’s ears! The dress will work with boots, flats, or heels. Layer it with a leather jacket for colder days or, for those rarer sunny occassions, simply wear with a pair of sandals. However, given that it’s in the sale, it’s available in limited sizes (18-24), which is something to be aware of if you’re planning on a bit of sale shopping. But it’s still a brilliant chance to pick up one of winter’s most coveted items! If the coat is sole out in your size, there’s no need to worry. Plenty of the items from Holly’s most recent M&S collection are still on sale, including a textured teddy coat that fans have been loving. You can browse Holly’s entire M&S collection here. Which items will you be treating yourself to?